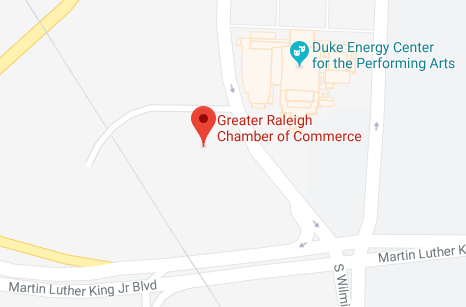 The Greater Raleigh Chamber provides experiences, events, and resources for new, emerging, and established businesses that create profitability for members and build community leadership. Business development events deliver events and initiatives that create connections with prospective customers. Business operations programs help new and emerging businesses manage and improve operations. Talent development resources support the Chamber’s talent attraction initiative by developing talent in two growth sectors: professional women and young professionals. Leadership development initiatives offer programs to connect, inform, and develop future business and community leaders. Signature events communicate information on important business and community issues. The Greater Raleigh Chamber’s influential voice represents the viewpoint of two-thirds of Wake County’s private workforce. Support business and community issues that affect your company and employees including business-friendly regulation and legislation on economic development, tax and regulatory reform, education funding, and infrastructure investments as well as the Wake County transit plan.